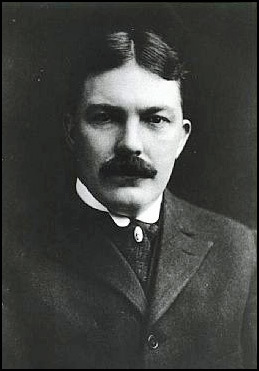 Stephen Birch was the instigator and driving force behind the formation of Kennecott Copper Company, forerunner of the highly successful Kennecott Corporation. Born in Brooklyn, New York, he was among the thousands who headed north in 1898, seeking their fortunes in Alaska gold. He found his wealth in copper high in the Wrangell Mountains. Starting as a horse-packer on an Army expedition, Birch rose in 20 years to control a major share of the world's copper production, with mines in Alaska, the western United States and South America. Birch arrived in Valdez early in the summer of 1898 as a civilian attached to a U.S. government unit exploring the Yukon River territory. After a stint at Columbia University's School of Mines, he returned to Alaska to assay an immensely rich copper deposit in the Copper River region. With the backing of a friend, he bought 21 claims, known as the Bonanza claims, and consolidated them in 1903 as the Alaska Copper and Coal Company. Equipment and supplies had to be hauled in by boat and horse team to the remote site at the base of the Kennecott Glacier. Lacking sufficient resources, Birch formed a syndicate and enlisted the support of Daniel Guggeheim, and J.P. Morgan. It became known as Kennecott Mining Company with offices in New York City and Birch as Managing Director. A railroad was constructed in record time and the first shipment of copper ore was made to the seaport of Cordova in 1911. In 1915 Birch gained full control of the syndicate and became President of the reorganized Kennecott Copper Company. As resources were depleted at the Alaska mines, which closed in 1938, Birch led the diversification into related products and alternate sources of copper in Utah, Nevada, Arizona, New Mexico and Chile. At his death, Kennecott held nearly 15 percent of the world's known copper resources and was the largest copper producer in the United States. At that time he was Chairman of Kennecott and the Braden Copper Company, President of the Alaska Steamship Company and the Copper River & Northwestern Railroad Company, and a Director of Utah Copper Company, Bankers Trust Company and five railroads. His 730-acre farm near Mahwah, New Jersey was sold to the state and his house, a state historic site, is now the administration building for Ramapo College. In 1938 he founded the Stephen and Mary Birch Foundation, Inc. to support health service, hospitals and civic organizations. It provided major funding for the Stephen Birch Aquarium-Museum at the University of California, San Diego.